There are 8 Memory Care Facilities in the Fairview Heights area, with 1 in Fairview Heights and 7 nearby. The average cost of memory care in Fairview Heights is $4,350 per month. This is lower than the national median of $4,650. To help you with your search, browse the 8 reviews below for memory care facilities in Fairview Heights. Better rated regions include Swansea with an average rating of 4.5 out of 5 stars. Caring.com has helped thousands of families find high-quality senior care. To speak with one of our Family Advisors about memory care options and costs in Fairview Heights, call (855) 863-8283. In Illinois, 220,000 seniors are living with Alzheimer's disease, and that number is expected to grow, according to the Alzheimer's Association. More than 2,800 seniors, representing about 17 percent of the population, call Fairview Heights home. Seniors who have been diagnosed with Alzheimer's disease can receive the specialized care they desire in one of the area's eight memory care facilities located in Fairview Heights, Shiloh and Columbia. Illinois' memory care facilities are one type of assisted living facility in the state. Like other facilities, memory care facilities secure licensing from the Illinois Department of Public Health. These licensing requirements ensure all facilities deliver high-quality care to seniors in need. The cost of living in Fairview Heights is higher than the national average with a ranking of 88.6 on a scale where 100 represents the U.S. median. Housing expenses are especially low, while healthcare costs are just above the norm. Seniors' families may want to consider these factors as they budget for memory care facility expenses. Living in Fairview Heights also offers some tax benefits for seniors. Illinois does not tax retirement income, including social security payments. This tax savings may result in additional monthly income for seniors. Warm summers and cold winters with some snow define Fairview Heights' climate. Winter lows dip into the 20s, and the area sees about 13 inches of snow every year. Summer temperatures rise to the upper 80s. Fairview Heights sees more rainy days than average and about as many sunny days as most cities. Seniors' families will appreciate Fairview Heights' low violent crime rate, which is just 18.5 on a scale where one represents the safest city and 100 the most dangerous. However, the property crime rate is significantly higher at 64.7. As a result, seniors' families may want to inquire about security measures in place at memory care facilities. Memory Care costs in Fairview Heights start around $4,350 per month on average, while the nationwide average cost of memory care is $4,778 per month. It’s important to note that memory care rates in Fairview Heights and the surrounding suburbs can vary widely based on factors such as location, the level of care needed, apartment size and the types of amenities offered at each community. To see a list of free memory care resources in Fairview Heights, please visit our Assisted Living in Illinois page. 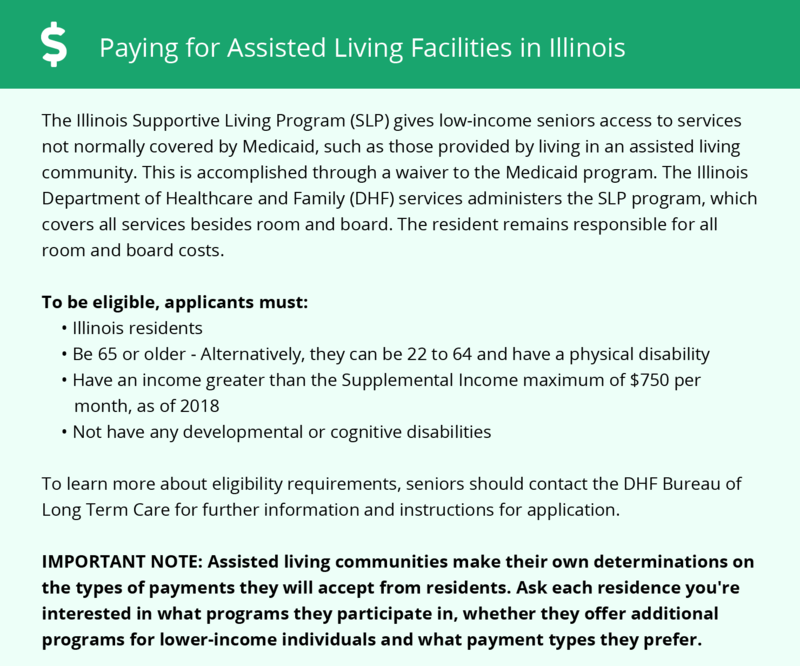 Fairview Heights-area assisted living communities must adhere to the comprehensive set of state laws and regulations that all assisted living communities in Illinois are required to follow. Visit our Memory Care in Illinois page for more information about these laws.